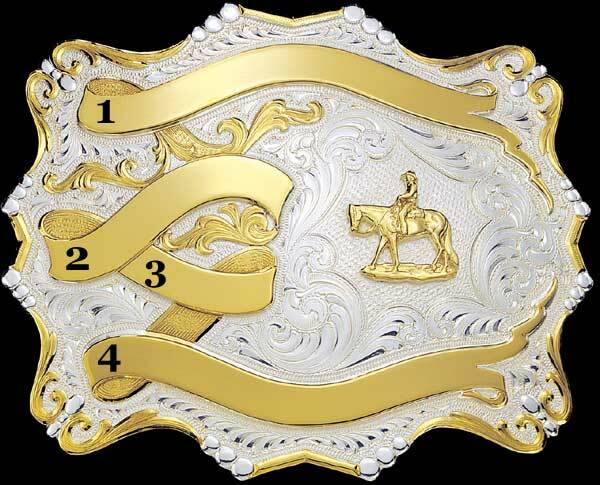 Fancy custom buckle by Montana Silversmiths - buckle #10704. 3 3/4;" x 4 5/8"". Super fancy customizable buckle with four engraveable ribbons. Includes any figure; shown with Pleasure Horse 655M. 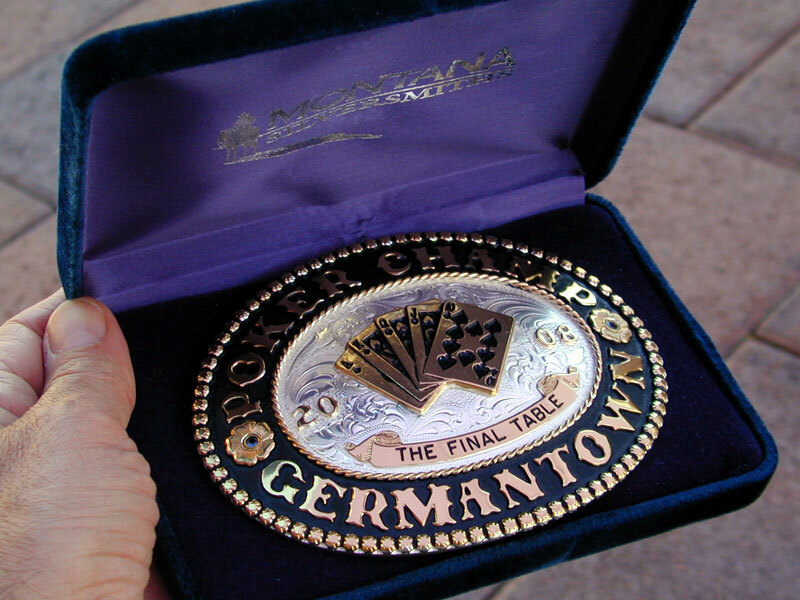 This fancy custom buckle is also available in solid sterling silver (usually price x 3); contact us for a quote. 3 3/4;" x 4 5/8"